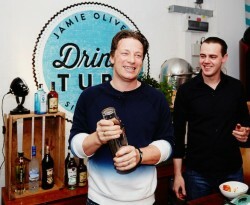 Geraldine Coates rounds up the must do gin events of London Cocktail Week 2014. So here it is again, London Cocktail Week – that celebration of gourmet drinking and cocktail culture that galvanises the Capital every autumn. This year once again there’s a bewildering menu to choose from – vintage bus cocktail tours, a host of brand-sponsored events, specialist tastings, cocktail hubs, master classes, pop ups and pop ins. And of course the opportunity to expand your drinking repertoire by tasting £4 cocktails at 200 of London’s best bars throughout the week. Btw get that wristband soon here. Sometimes there’s a bit too much choice so we’ve focused on what we think are the best gin related events and seminars. Remember seminars and tutored sessions should be pre booked at www.londoncocktailweek.com where you’ll also find the full programme. We love Jamie Baxter and he is a fount of all knowledge relating to the juniper spirit so this is not to be missed. Merchant House is also host to Jamie’s own gin, Burleigh Gin’s Pop Up bar all week. Great prices on woodland influenced cocktails crafted using Burleigh’s Gin. In partnership with the third Mark Hix signature restaurant the Tanqueray Dinner is a veritable banquet where guests will enjoy a tantalising set menu with a complementary cocktail for each course made with Tanqueray London Dry, Tanqueray No. TEN and the new limited edition Tanqueray Old Tom. Tom Nichol will introduce each course, sharing fascinating anecdotes and the unique history behind the iconic brand at the heart of this dinner, as well as tales of his life as master of the stills and one of the few to closely guard Tanqueray’s secret recipe. Tom has an unrivalled knowledge in spirit making and he personally oversees the meticulous selection of the finest ingredients to flavour Tanqueray. This is a rare opportunity to spend time with one of the world’s greatest gin distillers whilst enjoying an evening of exceptional food and exciting cocktails. Throughout the week the pop up Tanqueray Hub at Hixter City, 9A Devonshire Square, London, EC2M 4AE offers a taste of Tanqueray throughout the ages with live bands, flapper dancers, shoe shiners and exclusive gin and food pairing dinners. And free daily Masterclasses from 6 -7 pm with Tanqueray Brand Ambassador Tim Homewood who will guide gin lovers on journey through the history of the spirit, brought to life with experimental cocktails and dramatic flourishes. All week from 5.30 pm to 9.30 pm enjoy a Martini sipping session courtesy of Sipsmith Gin. It’s reservations only at £15 a seat, which includes a Martini of your choice. During London Cocktail Week G&T experts Fever-Tree will be hosting a series of G&T Safaris across the capital, visiting five of the best bars for the quintessential Gin & Tonic serve. Each safari will be hosted by gin connoisseur Craig Harper and his team, who will not only teach you about the rich history of the gin and tonic, but how to navigate your way through the hundreds of gin varieties and garnish options, helping you find the perfect G&T combination. Enjoy a different G&T in each bar showcasing Fever-Tree’s tonics with a number of premium gins, whilst learning more about the botanicals and distillation processes which make it unique. Cost £20.00. Ultimate G& T Safari takes place Monday, Tuesday, Wednesday and Thursday of London Cocktail Week. Join the live filming for Drinks Tube and share some fantastic cocktails at the pop up studio from hosted by stars from Drinks Tube including DJ BBQ, Camille Vidal aka Madame St Germain, Rich Hunt and Giuseppe Gallo. Get your glad rags on – you could be on telly! Join UK Chambord Brand Ambassador Frank McGivern and talented Ally Martin of Peg + Patriot as they de-construct the French Martini. Experimenting with various ingredients, techniques and garnishes, they will play with our perceptions of flavour and create the French Martini 2.0. Hendrick’s Boneshaker Bar, Brooks B1886 Store, 36 Earlham Street, WC2H 9LH. Celebrating the end of the day the No Rush Hour Society invites guests to raise a glass as the clock strikes six for the mystical cocktail hour. 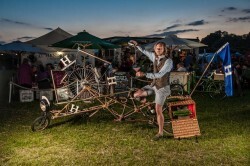 Great opportunity to taste the cocktails made by Hendrick’s fabulous Boneshaker. Spaces to this unusual occurrence are limited and will be allocated on a first come first served basis from 6-7pm on Thursday 9th through to Sunday 12th October. Here’s a real Saturday night treat. Grab some friends (up to 12) and book Charlie’s Cocktail Caravan to either craft your very own cocktails or for a little extra silver you can have a few cocktails demonstrated to you. £99 per party booking includes a bottle of your choice from Absolut, Beefeater, Havana Especial or Jose Cuervo Tequila and a selection of mixers. 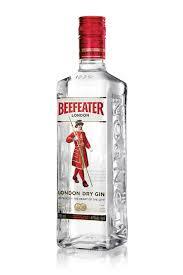 We’d been going for the Beefeater obviously. There’s also the option of a Mini Cocktail Masterclass for £25 with training on 3 cocktails tailored to suit your choice of spirits. Charlie’s Cocktail Caravan runs all week. With delicious decadent twists on classic cocktails and a full G&T menu with Fever-Tree mixers accompanied by live piano music. 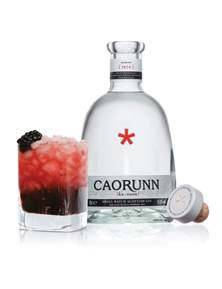 Watch out for the Caorunn perfect serve Gin and Fever Tree Tonic, cocktail by Ervin Trykowski with ingredients foraged at Balmenach ‘Rich Pickings’ and the incredible ‘Super Tonic’ by the legends at Edinburgh’s Panda & Sons on the menu all week long. Guest interactive session Thursday 9th 3pm, and more spots throughout the week.